1.08 MB, 1920x1080px, 5.7 secs. 8.08 MB, 1920x1080px, 5.7 secs. 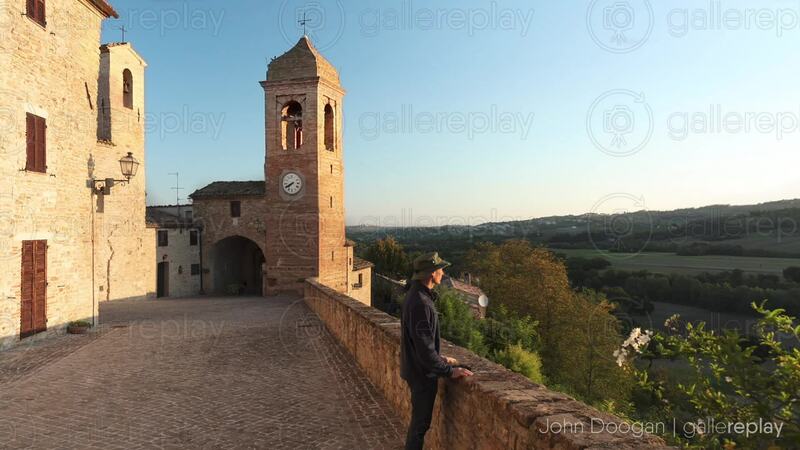 A man in a hat looks out over an Italian landscape as birds fly from a bell tower in the village background.